In the opening chapter of Napoleon in America, Napoleon gives a gift to Arthur Bertrand. Arthur was the son of General Henri-Gatien Bertrand (1) and his wife Fanny. Arthur became a favourite of Napoleon during the latter’s exile on St. Helena. Detail of “The Death of Napoleon” by Charles de Steuben. Arthur Bertrand is peeking over Napoleon’s left arm. General Henri Bertrand (1773-1844), a skilled engineer, joined the French army before Napoleon became ruler of France. Bertrand’s courage during the Egyptian expedition attracted Napoleon’s attention. Thereafter, Bertrand accompanied Napoleon on most of his campaigns. After the Battle of Austerlitz (1805), Napoleon made Bertrand his aide-de-camp. In 1808 he gave him the title of Count. In 1813 Bertrand became Grand Marshal of the Palace. General Bertrand went with Napoleon into exile on Elba in 1814. He returned with him to France in 1815 and held a command at the Battle of Waterloo. After Napoleon’s defeat, Bertrand agreed to accompany the Emperor into exile on St. Helena. An “elegant, pleasing woman,” (5) Fanny Bertrand (1785-1836) was the daughter of General Arthur Dillon, an Irish officer who served in the French army during the ancien régime and the French Revolutionary wars. He was guillotined in 1794. Fanny’s mother was Laure de Girardin de Montgérald, a wealthy Creole from Martinique who was a distant cousin of Napoleon’s first wife Josephine and the mistress of Josephine’s first husband, Alexandre de Beauharnais. Fanny solicited Josephine’s help in finding a husband. Napoleon presented her with Bertrand. They were married on September 16, 1808 at the home of Josephine’s daughter Hortense. At the time of Napoleon’s 1815 abdication, Bertrand and Fanny had three children: Napoleon (b. June 13, 1809), Hortense (b. Nov. 18, 1810) and Henri (b. Oct. 5, 1811). The Bertrands agreed to share Napoleon’s exile before they knew his final destination. They hoped, like Napoleon, that it would be England. When Fanny learned, off the coast of England, that the British were planning to send Napoleon to Saint Helena, she became hysterical. Fearing her children would die on the island, she pleaded with Napoleon not to accept Bertrand as one of the few allowed to accompany him. She even attempted to jump overboard. As Thomas Vance details on the Napoleon Series website, Napoleon was fond of all the children in the Longwood entourage. Arthur Bertrand became his favourite. Glimpses of the two of them in the various St. Helena memoirs provide an amusing contrast to the often formidable portrait of Napoleon as Emperor. When Napoleon insisted that Hortense Bertrand have her ears pierced in an outdoor operation, Arthur was greatly alarmed. In the best-known vignette, Napoleon gives Arthur a pony. This was recounted by Napoleon’s first valet, Louis-Joseph Marchand. ‘You tell me gun fire.’ I was not aware of the promise made to him. ‘What does he say?’ the Emperor asked. “How much does he want for this horse?’ the Emperor asked General Montholon. In later life, Arthur Bertrand is best known for his affair with the French actress Elisabeth Rachel Félix, otherwise known as Mademoiselle Rachel. She was also the mistress of Napoleon’s illegitimate son Alexandre Colonna-Walewski, as well as two of Napoleon’s nephews, one of whom later became Napoleon III. John Tyrrell details the relationship on his Reflections on a Journey to St. Helena blog. In 1848, Rachel and Arthur had a son, Gabriel-Victor Félix, whom Arthur never acknowledged. Arthur Bertrand died in 1871 at the age of fifty-four. If you search the internet you will find confusion over Bertrand’s middle name – Gatien or Gratien? – which extends even to his published journals. In Napoleon at St. Helena: The Journals of General Bertrand from January to May of 1821, deciphered and annotated by Paul Fleuriot de Langle, translated by Frances Hume (Garden City: Doubleday, 1952), the title page credits Bertrand as Henri-Gratien whereas the inner flaps of the (original) dust jacket call him Henri-Gatien. 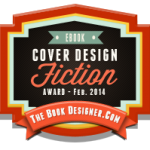 A proofreading error run amok? Lally Brown, who lived in the Bertrands’ cottage on St. Helena and has written the wonderful The Countess, Napoleon and St. Helena: In Exile with the Emperor 1815 to 1821, advises that the Bertrand Museum at Châteauroux refers to him as Henri-Gatien, as does the St. Helena church register in which Arthur’s birth is recorded. Arthur Wilson, ed. A Diary of St. Helena: The Journal of Lady Malcolm (1816, 1817) (London, 1929), p. 22. Napoleon Bonaparte, Recueil de Pièces Authentiques sur le Captif de Sainte-Hélène (Paris, 1822), Vol. 4, p. 355. Wilson, A Diary of St. Helena: The Journal of Lady Malcolm (1816, 1817), p. 21. Louis-Joseph Marchand (Proctor Jones, ed. ), In Napoleon’s Shadow: Being the First English Language Edition of the Complete Memoirs of Louis-Joseph Marchand, Valet and Friend of the Emperor, 1811-1821 (San Francisco, 1998), p. 485. John Stevens Cabot Abbott, The History of Napoleon Bonaparte (New York, 1883), Vol. 2, p. 627. Bertrand, Napoleon at St. Helena, p. 47. Marchand, In Napoleon’s Shadow, pp. 617-618. Arthur Bertrand, L’Expédition de Sainte-Hélène en 1840 (Paris, 1841), pp. 93, 102-103. He also recounts the tales of the horse (p. 104), the ear piercing (p. 112) and the seesaw (p. 115). I read a book on Napoleon that called General Bertrand’s first name Conti Bertrand. Thanks for this good point, Bob. In 1808, Napoleon gave General Henri Bertrand the title of Count, so he is often referred to as Count Bertrand. I expect Conti Bertrand is probably an Italian variation of this. 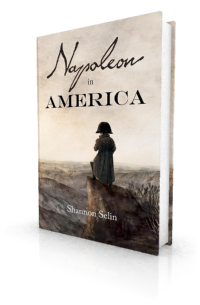 Thank you so much Shannon for mentioning my book The Countess, Napoleon and St. Helena. 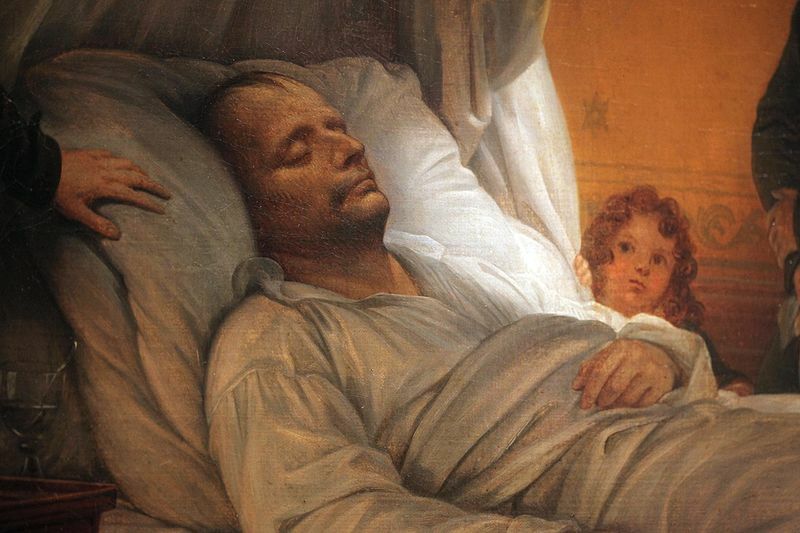 The day baby Arthur was born at Bertrand’s Cottage 17.01.1817 they said “a dreadful fog covers the plain” and Fanny vowed she would not spend another year on St. Helena, however she was destined to remain until Napoleon’s death in May 1821 and to suffer several dangerous miscarriages. Quite heartbreaking. Always enjoy your fascinating blogs! Thanks, Lally. I loved your book! So nice to have a close look at how Fanny experienced those years of exile. Sounds like they were tremendously difficult for her, not least because of those sad pregnancies. Fortunately, I gather the children enjoyed their time on St. Helena. So thrilled you enjoyed my book Shannon, that means a great deal to me, thank you! Fanny worried the children were growing ‘wild’ and in June 1818 a Governess, Mary Hall, was selected by Lady Jerningham to go to St. Helena. Mary proved excellent. She ended up marrying Napoleon’s Mameluke Ali. A wonderful result for all concerned! Very interesting! I have some relics of Napoleon’s from St. Helena, solid silver spoons. General Count Bertrand gave these to my mother’s great great grandfather who was in the Army there at the time. My mother and her aunt also had silver salvers and other things. They were for Napoleon’s dinner service whilst there on St. Helena. Those sound like beautiful treasures, Sue. Hi Anne, I don’t know whether any of General Bertrand’s children wound up in Germany or Alsace-Lorraine. According to a message board on a genealogy site, his son Henri may have gone there and married a German girl (see https://www.ancestry.com/boards/topics.Military.french/45.1/mb.ashx). However, according to another genealogy site, Henri (the son) married a French woman (see https://gw.geneanet.org/garric?lang=en&n=bertrand&p=henri+gatien). Good luck with your research! Thank you for this interesting bit of family history, Nora. I haven’t seen any reference to Count Henri Bertrand remarrying after his wife Fanny’s death in 1836. Neither does his son Henri appear to have married anyone named Maria Teresa. Both Henri Sr. and Henri Jr. died in France. Count Bertrand (senior) did spend three years in Martinique, from 1837 to 1840. He went back to Martinique in 1842, also stopping at Dominique, Guadeloupe, Sainte-Croix, Puerto Rico, Jamaica and Havana before going on a brief visit to the United States in 1843. Count Bertrand returned to France a few months before his death on January 31, 1844. The Emperor had taken the youngest on his knees, and was kissing and teasing him as he was pulling at his ears.